In a contemporary World where national cultures, economies and borders are blurred, political polarizations are disappeared, liberal tendencies get stronger, technology is developed incomprehensibly, and the route of social life is mainly determined by the global processes, the effort of setting up regional integration is still alive. The initial goal of the European Neighbourhood Policy launched in 2004 was helping the European Union to support and foster stability, security and prosperity in the countries closest to its borders. Since then, this document has been revised twice: in 2011 and 2015. Due to the inefficiency of its former versions and increased tensions in the neighbouring countries and the European Union itself, the most recent Review of the European Neighbourhood Policy puts a clear emphasis on the security dimension. This article aims to outline possible scenarios of the European Union and Turkey collaboration in maintenance of security in the European Union’s neighbourhood. Ulusal kültürlerin, ekonomilerin ve sınırların bulanık olduğu çağdaş bir dünyada, politik kutuplaşmalar ortadan kalkmakta, liberal eğilimler daha da güçlenmektedir, teknoloji anlaşılmaz bir şekilde geliştirilmektedir ve sosyal yaşam rotası esas olarak küresel süreçler tarafından belirlenmektedir. 2004 yılında başlatılan Avrupa Komşuluk Politikası'nın ilk hedefi, Avrupa Birliği'ne sınırlarına en yakın ülkelerde istikrar, güvenlik ve refahı destekleme ve teşvik etme konusunda yardım etmekti. O zamandan bu yana, 2011 ve 2015'te bu belge iki kez gözden geçirilmişti:. Önceki versiyonlarının etkisiz olması ve komşu ülkelerdeki ve Avrupa Birliği'nin kendisindeki artan gerilimler nedeniyle, Avrupa Komşuluk Politikası'nın en yeni Gözden Geçirmesi, güvenlik boyutu eklenerek yenilenmiştir. Bu makalede, Avrupa Birliği'nin komşuluk bölgesindeki güvenliğin sağlanmasında Avrupa Birliği ve Türkiye işbirliğinin olası senaryoları özetlenecektir. A Global Strategy for the European Union (2016). Available at: https://europa.eu/globalstrategy/en. Bieliauskaitė, J., Šlapkauskas, V. (2016) European constitutionalism as the metatheory of the construction of legal and political reality and the challenges for its development. DANUBE : Law and economics review, 7(1), 41-52. Available at: https://doi.org/10.1515/danb-2016-0003. Bieliauskaitė, J., Šlapkauskas, V., Vainiutė, M. & Beinoravičius, D. (2016). Constitutionalism as the instrument of security and sustainability in European Union law. Journal of security and sustainability issues. 5(3): 377-389. Available at: <http://dx.doi.org/10.9770-/jssi.2016.5.3(6)>. Castells, M. (2006). Tūkstantmečio pabaiga. Informacijos amžius: ekonomika, visuomenė ir kultūra, [End of Millennium. The Information Age: Economy, Society, and Culture] Vol. 3, Vilnius, Poligrafija ir informatika. Cianciara, A. K. (2017). Stability, security, democracy: explaining shifts in the narrative of the European Neighbourhood Policy, Journal of European Integration, 39(1), 49-62, DOI: 10.1080/07036337.-2016.1256397. Collinson, S. (23 July 2018). Rattled or frustrated, Trump is lashing out all over. CNN politics. Available at: https://edition.cnn.com/2018-/07/23/politics/donald-trump-russia-vladimir-putin-robert-mueller-cohen-north-korea/index.html. Commission of the European Communities. (2004). European Neighbour-hood Policy. Available at: https://eur-lex.europa.eu/legal-content/EN/TXT/PDF/?uri=CELEX:52004DC0373&from=EN. Demir, Sç (2012). Turkey’s Contribution to the European Common Security and Defense Policy. 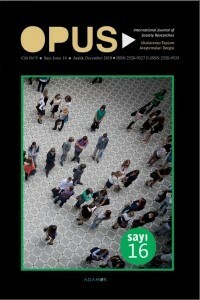 Turkish Public Administration Annual, 38, 1-22. Eriş, Ö.Ü. (2007). The European Neighbourhood Policy and Turkey. In: LaGro E., Jørgensen K.E. (eds) Turkey and the European Union. Palgrave Studies in European Union Politics. Palgrave Macmillan, London. European Commission (17 April 2018). Key findings of the 2018 Report on Turkey. Available at: http://europa.eu/rapid/press-release_MEMO-18-3407_en.htm. Eurostat (11 June 2018). GDP per capita in PPS. Available at: https://ec.europa.eu/eurostat/tgm/table.do?tab=table&init=1&language=en&pcode=tec00114&plugin=1. Füle, Š. (2011). Turkey and the European Neigbourhood Policy. Turkish policy quarterly. 10(2): 17-21. Melyantsou, D. (2015). Renewed EU neighbourhood policy: old methods for stability. Available at: http://belinstitute.eu/en/node/2874. The European Neighbourhood Policy in a Comparative Perspective. Models, challenges, lessons (2016). Ed. Gstöhl, S. Routledge Taylor & Francis group. London and New York. Tocci, N. (2011). Turkey's neighbourhood policy and EU membership: Squaring the circle of Turkish foreign policy. International Journal. 67(1), 65-80.